When I was young, I always thought successful people had to work 24/7 – and that was the only way. Balancing three jobs, I’m learning that if you follow and train yourself with these time management hacks, that’s not true. I mean, how else would CEOs have families, hobbies, and friends?! At heart, I’m a list maker. I love the idea of being able to physically cross (in my favorite gel pens, of course) when I’ve crossed something off my list. As I’ve mentioned before, I love to be busy and that means balancing a … LOT. The only thing is, I do the MOST ridiculous thing. I make these looooong lists of things I want to get done, get halfway through the list & give up or fall asleep! Only to wake up the next day, not having everything done and beating myself up for being “unproductive”. 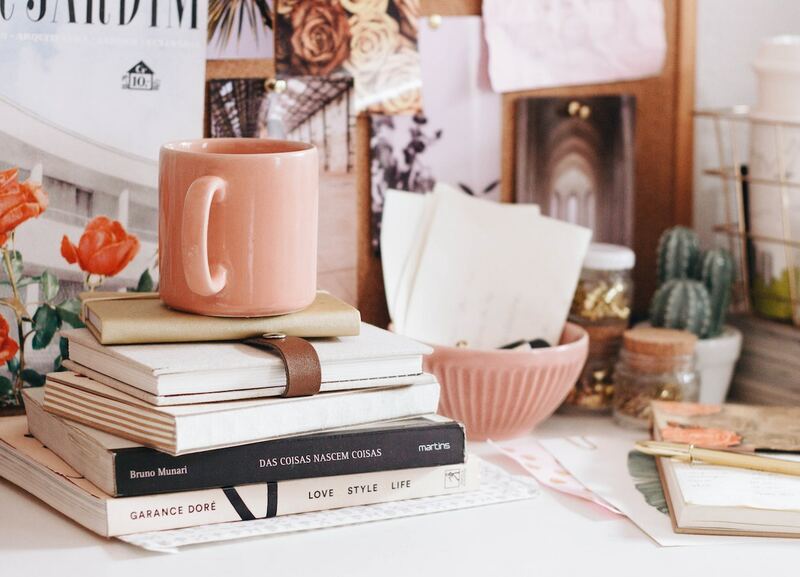 After obsessively listening to other bloggers, like The Skinny Confidential (if you haven’t listened to Lauren’s podcast on time management, download it here – it will CHANGE your life, it’s episode 135! ), about how they manage to fit so much into their day. I became inspired to start working on my time management. 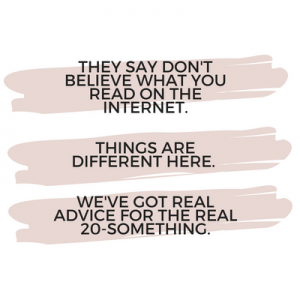 It’s definitely a work in progress but wanted to share my *real* advice below about all things batching, time management and managing a side-hustle in my 20’s. What makes this advice different? Like many 20-somethings, I have ROOMMATES (and no at home desk). This means my main space to work at home is at the kitchen table or in my bed, which as you know is very bad for you. 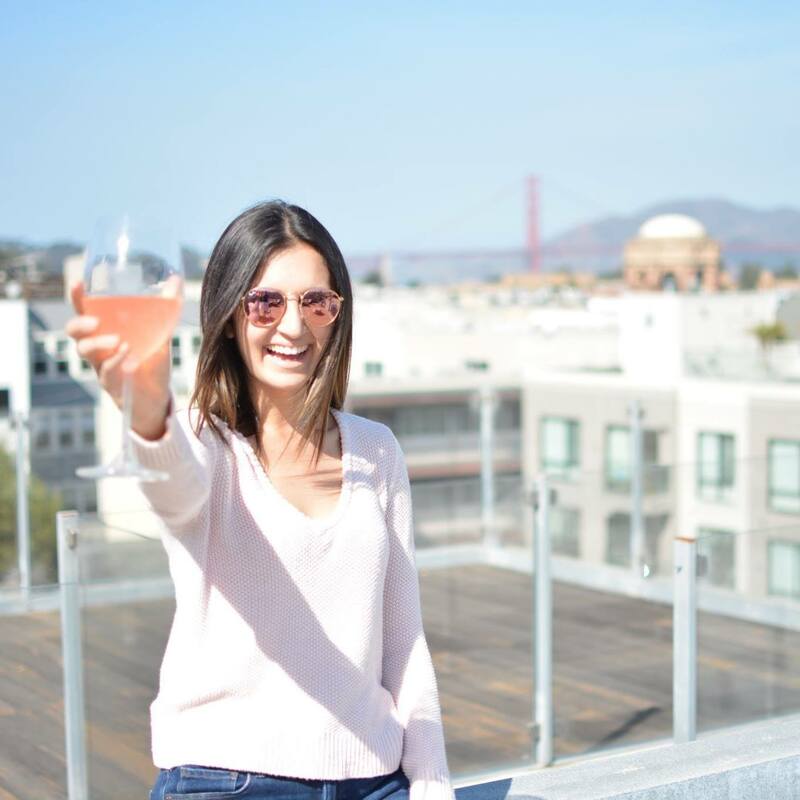 My day job and side hustle are COMPLETELY unrelated (here’s another blogger who loves side hustles). 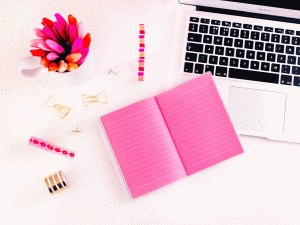 Balancing – and switching back and forth between a day job and blogging muddled my thoughts SO MUCH when I tried to do too much of both in the same sitting. This is one of the best business tips I’ve ever heard – I try and remember it every day. I was burned so much when first starting to blog with the slew of uninformative courses and other information, that I was very hesitant to spend money in the future on my blog – or my life. Whether it was a gym, a house cleaner or whatever it is, don’t be scared to hire out your weaknesses. For example, I’m the WORST at the technical side of my blog. I absolutely hate figuring out coding and would always find myself more frustrated than it felt worse – so I found an amazing contractor on Upwork to help me with the little fixes. There are certain things in life that just take me time. Like, picking out what to wear in the morning or cooking a meal at night – I just can’t do it quickly! What are these things for you?! You’ll see me talk below that it’s not possible in my life to schedule months in advance, but it is possible to schedule a week at a time. Every night, I’ve started packing a bag for work, picking out my clothes and at least ensuring I have the next day or two scheduled so I can balance it all. This takes LITERALLY 5 minutes but ends up making me less stressed to avoid being late. Next, I want to set my coffee on a timer – but maybe that’s my next step! Planning meals have probably been one of the most beneficial things I have done, so I don’t end up starving at the end of the day (eating junk!) and having to run to the grocery store. I’ve seen SO many bloggers talk about batching their time lately. Batching is when you sit down and do one thing for a long period of time – so you can plan things like content months in advance! I’ll be honest, in my world (day job, roommates, etc), batching my time isn’t possible. I tried, I really did and completely failed. Batching doesn’t work for me because so much of my time is out of my control and I’m only ever working on my side hustle for a few hours at a time, so it’s impossible to plan months in advance. The WORST. I’m sure a bunch of you – whether your a parent or having the same time-out-of-control problem – can relate! What I did learn from trying to batch, is that I’m a lot more productive if I schedule a block of time to focus on one thing or one group of things that are RELATED. So I try and focus a few hours on doing social posts for a short period of time, but still, give myself the leeway of planning a few days or even a week out! If you have yet to download the app, “Moment” do it NOW. 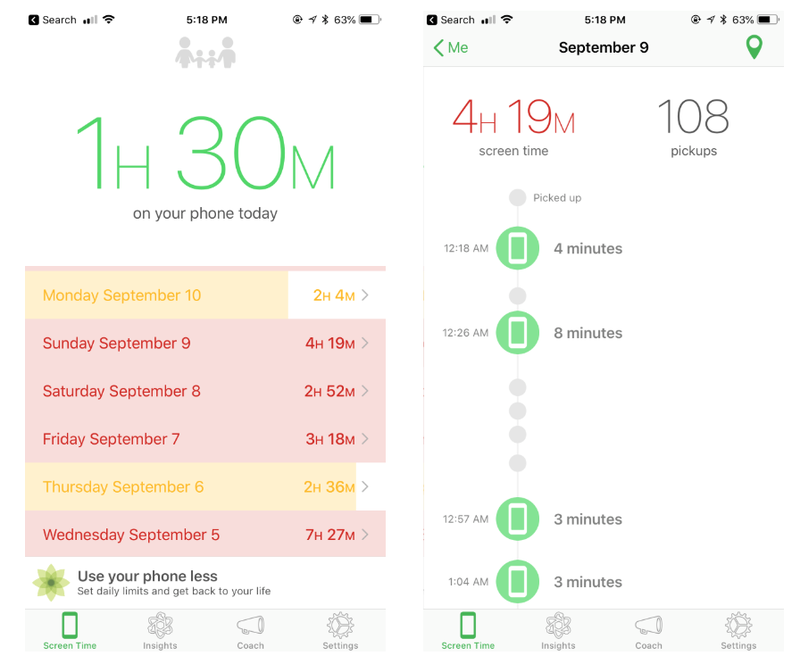 It tracks your phone time between each app and helps you waste less time on your phone. We spend so much more time on our phones – which can be such a waste! I’m embarrassed to say this, but when I first started using Moment, I was on my phone upwards of FOUR HOURS a day (see the screenshot below)! It also tells you how many times a day you randomly pick up your phone, for me, it was upwards of 100. Now some of this was blog stuff, but should blog things really take 4 hours a day on my phone?! If your picking you’re phone up a million times a day, you’ll never be focused – and never get anything done. Whenever you’re working, you’re likely working towards a goal. Whether it’s to get your next paycheck to buy something you really want, write down your goals. I did this a few months ago and every time I feel frustrated or burnt out, I look back towards that goal list and find my focus! I loved reading this post. I also have a full-time day job (along with a biweekly side hustle and my blog). My day-job is related to my blog, well it’s in the same field, which I find to be difficult. By the end of the work day, the last thing I want to do is write more, so I started writing on the weekends. Recently, I’ve had more opportunities to better my personal life on the weekends, so writing falls off the to-do list. I will definitely have to try out these tips – especially the app. Thanks for sharing and best of luck with your productivity! I can’t wait to follow along on your journey. Wow! 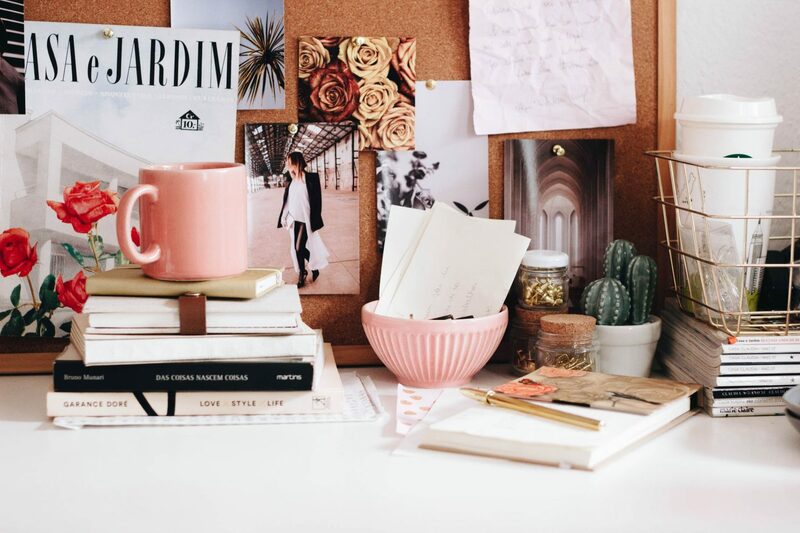 I thought I was organized, but this post is going to be really beneficial for me in the long-run. Thank you so much for sharing your tips. I’m going to save this to help me out later! Love it! I’m with you on planning! For me and my husband, we’re crazy about planning months in advance. We currently discussing January and February plans as I write this! 😂 For me, batch tasking can work to a point, so I can see what you mean about working on related items rather than one single task! That moment app looks awesome!! I also love the idea of hiring out the things you aren’t good at! Brilliant! I am making an honest effort to improve my time management skills! This week, I’ve carved out time to try batch work for a couple key projects. I’m excited to see how it goes! Great tips! Batching and planning are huge for me. Great tips! Batching really helps me get more done. This is going to sound horrible… but Moment has told me i average about 5 hours a day… and i’ve had days where its hit 8+ hours…. In my defense, I use FB messenger to communicate with the hubby (we were long distance for awhile) and have alot of apps on background (like audible or podcasts). But it does hinder my productivity. And I think we are similar in that batching doesn’t seem like it will work for me, but focusing and being intentional on similar content would work better. Okay I have been looking for an app that tracks this type of data forever! I can’t even imagine the results, I scroll SO OFTEN! It’s such a time waster! I LOVE these tips girl!!!!!!!!! Wow THat app sounds like it would be a real eye opener. I loved all your tips. Many of these things I practice now such as the time blocking. That does help me get a lot done. These are great tips! 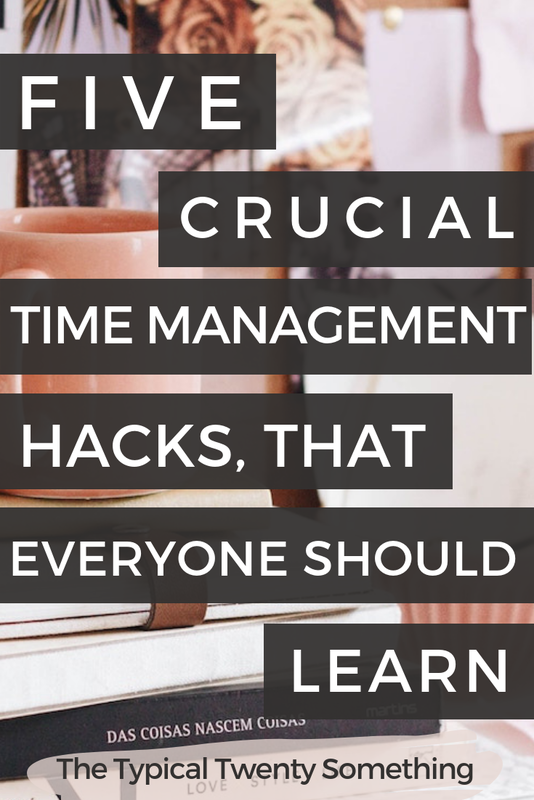 I’m all for learning how to be better at time-management and continuing to grow in this area! I’m looking forward to trying some of these tips! Planning is huge for me as well as batching – such a game changer, for sure! Time management is tricky. Thanks for these tips. Recently I started batching some of my blog tasks, and it really does make a difference. I also have a full time day job that is totally unrelated to blogging, so balance is hard. A big pitfall for me is mindless scrolling. I’ve noticed I tend to do this a lot more when I’m tired and have trouble focusing. So instead of trying to force myself to work through it I give myself a “real” break from doing blog stuff and do something just for fun. Then I feel like I’m more prepared to get back to it. Writing things down always helps me. It helps me keep track, I don’t have to stress about remembering it, so overall I love a good planner.